Greece’s central bank dismissed claims by hacking group Anonymous that it had accessed confidential internal files. Anonymous responded by warning that it was merely testing out the bank’s defences and could step up its attack. Anonymous Greece had posted a link on its Facebook page on Tuesday, claiming it was leaking central bank data and warned that more would follow in the coming days. A link the collective supplied didn’t appear to immediately work. The Bank of Greece said the alleged leak only contained information widely available on its website. “The claims that Bank of Greece databases were hacked and leaked are totally unfounded,” the central bank said. 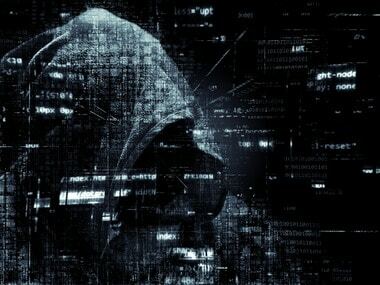 Anonymous, which previously attacked the central bank in May last year when it disrupted service on its website, said its campaign was not over. “The Bank of Greece was a test, not exactly an attack. It was a warning, The worst is yet to come,” Anonymous said. The central bank played down the threat. “The alleged revelations of 1,217 files, which contain administrative decisions, presentations from conferences and other data, is nothing other than information available to the public through the bank’s website,” the Bank of Greece said. Anonymous originated in 2003, adopting the Guy Fawkes mask stylised by the “‘V’ for Vendetta” movie as their symbol for online hacking.